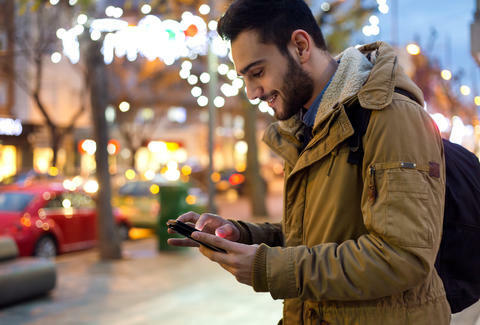 Except for finding an affordable apartment, and possibly a restaurant with some good appetizers, there's no better way to make Seattle your own than finding a few essential apps for your smartphone; ones that'll do everything from helping you pay for parking to planning a pub crawl. Luckily, The Town's the kind of tech-savvy place where you can find those things, or rather we can, so you don't have to. 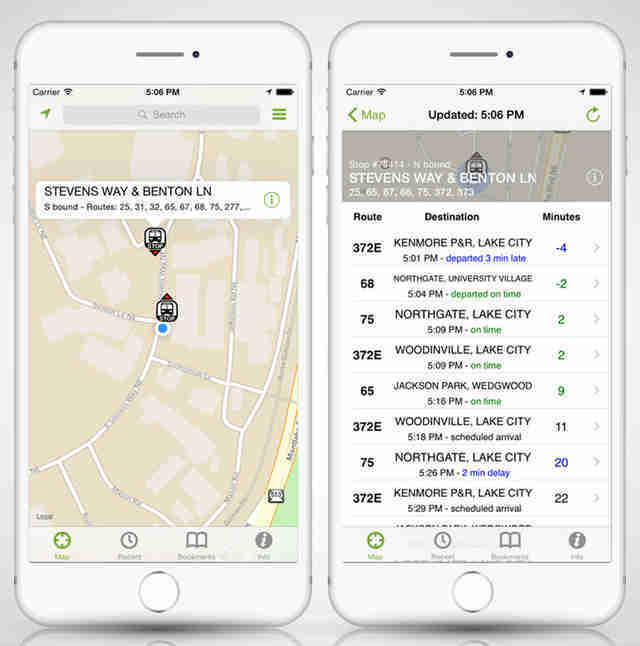 The OG of transit apps started as a student project by a couple of guys in grad school at UW. The project soon turned into the topic of their PhD dissertations, and eventually into a massive open-source project designed to tell you when the bus (or train, or whatever) you're trying to catch will actually arrive. Yeah it maps Seattle-area traffic in real time, and gives you access to live traffic cam feeds, but it also has mountain pass reports, ferry/train schedules, wait times at the Canadian border, and access to the department's occasionally hilarious social media feeds. If you're going to pay Seattle's outrageous parking fees, you might as well do it without struggling to find a spot, getting out of your car, walking down the block to a pay station, trying to get it to take your card/money for a few minutes, then finally walking back to your car to stick the display receipt on the inside of your window. This app eliminates all that. Except the walking-to-the-pay-station part, 'cause you need to enter the correct location code. Oh, and the struggling-to-find-parking part, obviously. Yeah yeah, we get it. Breaking news, location-based traffic/weather info, blah blah... we all know you're just here for the live news broadcasts from King 5's incredible new SoDo studio. This fast-growing site has all the tech news you need (including an "app of the week," local geek events, etc. ), but absolutely kills it when it comes to Seattle-based stuff, making it a can't-miss source for info on the 206's biggest industry. Seattle's UW-based NPR affiliate has come under a little fire lately, but it's still got a solid app that gives you access to its live streams, local news, and more. The Seattle Weekly hasn't just put out its already-comprehensive event listings in mobile form, but it's created a platform from which you can find great stuff going on around town -- from pop-ups and happy hours, to live shows -- then make plans with your friends, and even buy tickets, etc., all without leaving the app... even if your friends don't have it on their phones. Listen to Seattle's coolest radio station's 24-hour live stream, request a song, or check out the 14-day archive if you somehow managed to miss Street Sounds last Sunday. Again. What it does: Tells you pretty much every event worth going to. And it's no joke. 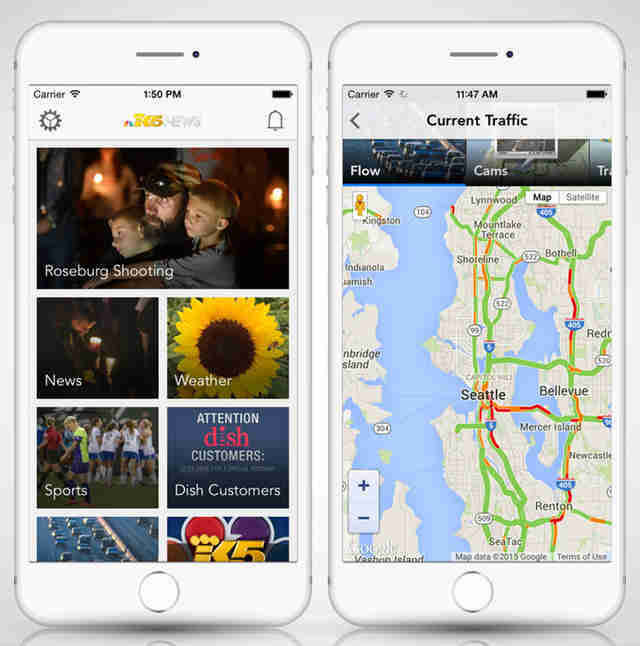 The app is essentially the Seattle Pipeline's usual robust rundown of local events but in mobile form. Plus live happy hours from all over the city, ticket giveaways, and more. 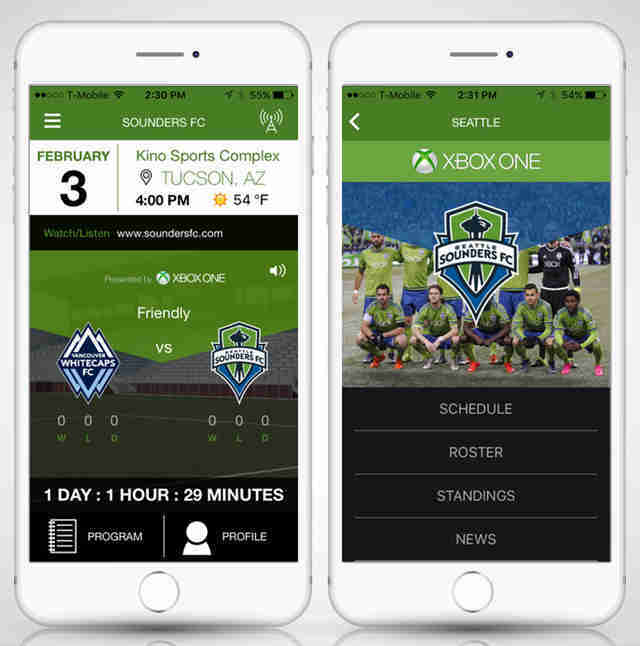 This relaunched app has live audio/match commentary for all Sounders games, up-to-date team news, access to the team's highly active social media streams, video clips, and more... like the recent first look at the 2016 home/away kits. It's just like the real ESPN radio, except these guys talk about the Seahawks, and the Mariners, and the Sounders, and... oh, who are we kidding? They pretty much just talk about the Seahawks. Sure, you can check out team news/stats, manage your tickets, watch in-game video... but you can also order concessions directly from your seat, as well as check out Sea Gals photos... if that's what you're into. 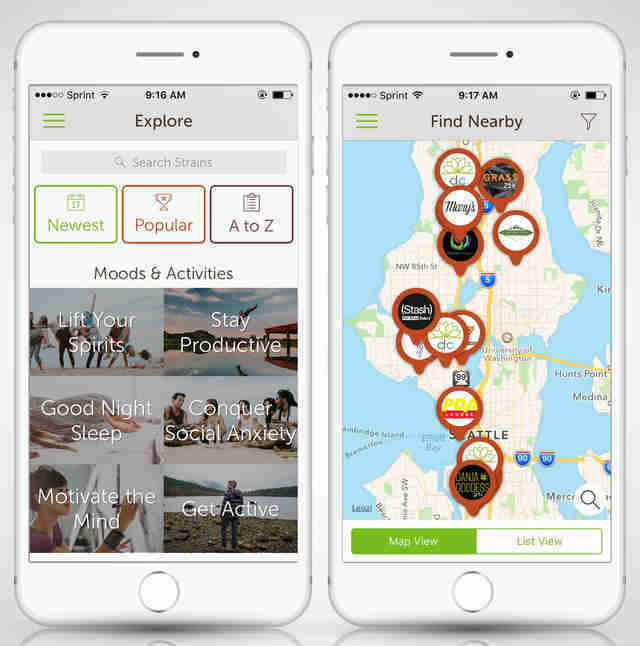 Seattle-based Leafly is the world's largest marijuana website and, just like the website, the app boasts exhaustive info on the effects, flavors, etc. of various strains, as well as an elegant map interface showing you where to find 'em nearby. What started as a labor of love for mobile eats has grown into one of Seattle's most crucial resources, with schedules, event listings, food photos, and more. Launched in Seattle last month, this London-based app mines Twitter for up-to-date opinions about local restaurants and uses a simple visual interface to let you know if you should eat there. Green means good, and the larger the bubble around a place, the better the buzz. What it does: You already know! You don't need us to tell you that Thrillist is the place for everything from comprehensive lists of the city's hottest restaurants, to musings on The Town's best dive bars, or donuts, because you’re smart. So we'll just leave this here for you to tell your friend about. No doubt inspired by our Ballard brewery crawl, this ingeniously simple app literally plots (as the name suggests) all the nearby breweries on a map, and provides some basic info on each one, seriously streamlining your crawl-planning process. Bradley Foster is a former Thrillist editor who's really pissed he didn't come up with that HopPlotter thing.